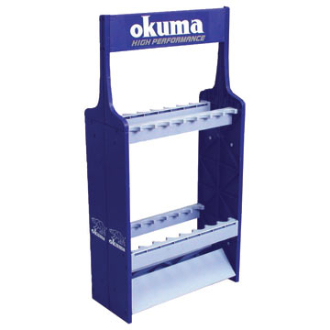 The Okuma RR-B1 rod rack is a great little rod rack for just about every angler. This rod rack features locations to store 16 rods. You can configure this rack in many differnet ways, and it is also expandable. It is made of durable ABS plastic and will hold of to many years of abuse. This rack is small enough, and light enough to be easily stored as well.